Version 1.0.0.35 of the GT/Metadata Explorer is available. - NEW - #6400 - GDO_Attribute attribute added to the tabular view for the Geometry Info dialog. - FIX - #6402 - Copy lists to clipboard was not getting all of the data. - NEW - #6403 - Current connection is now shown on title bar. GTech Loader version 8.0.0.19 is available. - FIX - #6392 - Additional Join clause added in #6337 was taken out. - FIX - #6401 - Legend filter expression is now enclosed in parentheses as well as the Additional Record Filter. 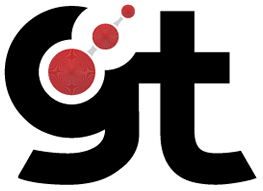 GTViewer version 9.0.x.12 is available. - NEW - #6362 - The -q and -p command line options have been added to support performing a query when the document is opened or on an open session. - FIX - #6363 - Command-Line parameters did not like extra spaces between parameters on an active launch. - NEW - #6364 - Toolboxes now support the GpsTracking action which will toggle GPS tracking on or off. - NEW - #6365 - The Tool/Options Scale Increment can not be set to 0.5. Previously, 1.0 was the lowest value. - NEW - #6370 - The Contains token is now supported by the Display Toggles so that you can turn on or off items by filter names that contain a specified string. - FIX - #6372 - for the ColorValue with Layered Symbol Definition did not work correctly. - FIX - #6376 - Composite Group elements (extended Style id = 1, 2, or 3) were not correctly handling having no Style Rule. - CHG - #6380 - Default Stroke Angle for Long Arcs (Type 105), 3 Point Arcs (Type 110), and Ellipses (Types 106 and 206) has been changed to 5 degrees. GTech Loader version 8.0.0.18 is available. - FIX - #6352 - Provider version not shown correctly. - CHG - #6367 - The Where clause in the SQL for Graphics processing now includes a G3E_CNO expression to force the records to only be for the component being processed. - NEW - #6368 - LookupFunct has been added to the expression evaluation functionality. This item has been aded to support more complex expression in the Filter and Record Filter expressions. - FIX - #6326 - GIS: tag will now encode comma and pipe characters in the values. - FIX - #6338 - When an Attributes Format is defined by Cno and not Vno, the formatting was not applied. Changed to check for Vno first, if not found then by Cno. - FIX - #6217 - The Global Properties' Apply to All did not work for the Empty Only unchecked. - FIX - #6218 - The OK button on the Report dialog did not work. - CHG - #6233 - All geometry SQL queries will now use Distinct.